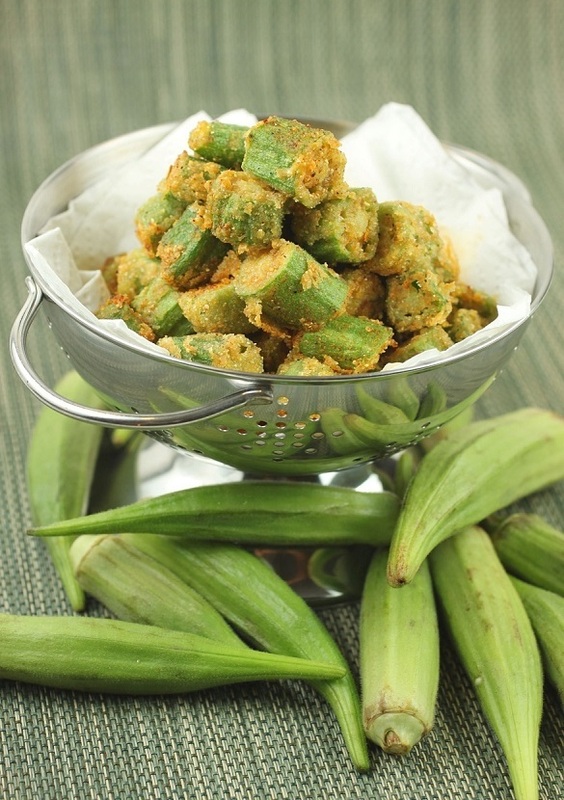 I love okra in my Louisiana gumbo, fried in corn meal, or in Indian-style curries. The sticky texture works well for gumbo and stews and if you don’t care for its sliminess, frying it in cornmeal is a wonderful way to enjoy okra. I make my own self-raising cornmeal mixture and use fresh okra instead of frozen. I like to cook it lightly so there is a little snap when you bite into it. I have two secret steps to minimize the coating falling off when frying. Mix a little amount of yellow mustard into your cut okra. Just a thin coating is sufficient. When the surface is tacky, drop it into the cornmeal mixture. Then coat and remove the okra. Let it rest for half an hour or more for the coating to dry. When you cut the okra, be mindful that old okra will be harder to cut than the tender young okra. I discard the old ones as they don’t taste as good as the young tender ones. Always use clean vegetable oil. 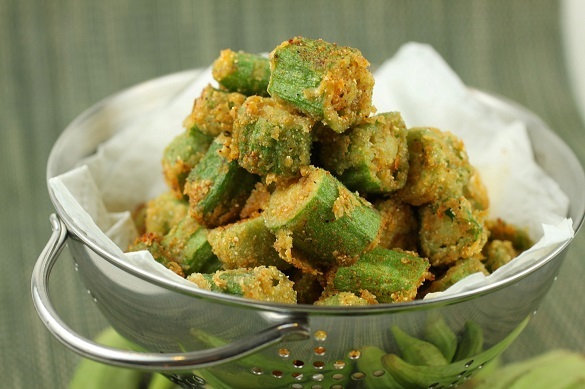 Fried okra is great as an appetizer with cocktails and is sure to be a conversation starter. It’s a welcome change from bar nuts and pretzels.